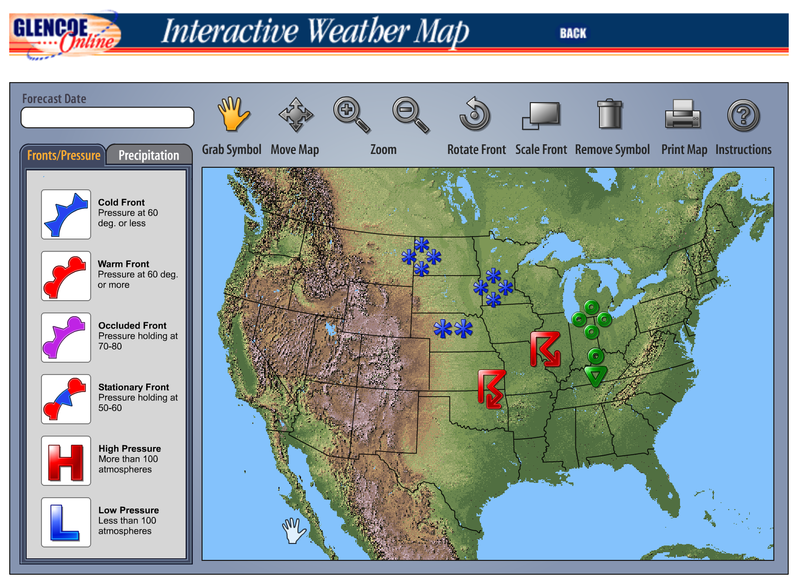 Interactive Weather Map | The Techie Teacher® . Do you have a weather unit to teach this year? There is no better way to learn about weather than getting your students to pretend they are meteorologists! Check out Glencoe's Interactive Weather Map. 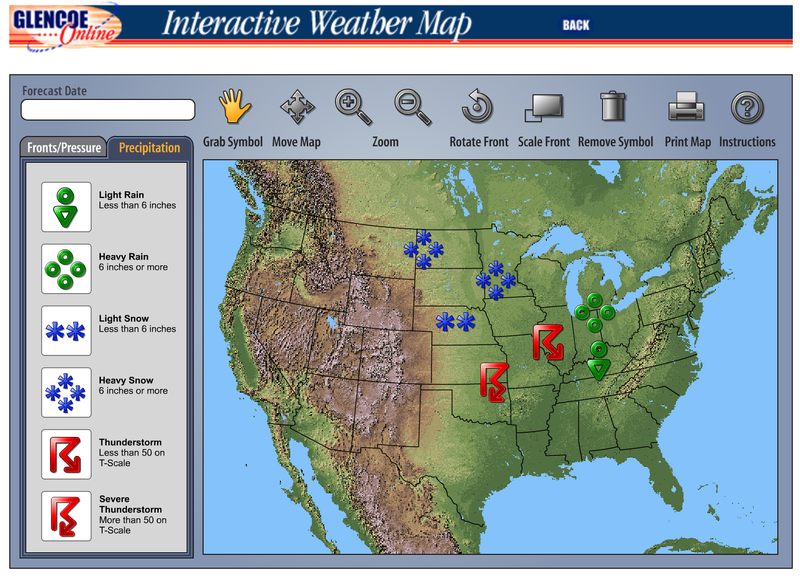 Students can construct their own weather forecasting map based on weather data they collect. Maps can include information about fronts, pressure and different kinds of precipitation. There is even an option to print so students can compare their map with a peer's map. I think it would be fun to have the kids create a weather forecasting map and screenshot it to import into the PhotoBooth program or Do Ink green screen app to make a video. Students would LOVE to act as meteorologists for the day reporting the week's weather forecast.